I have reported it to samsung 3 weeks before but still now it is not yet patched so now i cannot give the full detail about the vulnerability. Finally the vulnerability is patched by security team of samsung last night. The above link opens this website but now its fixed. this is the screenshot of the email I got from the team last night. 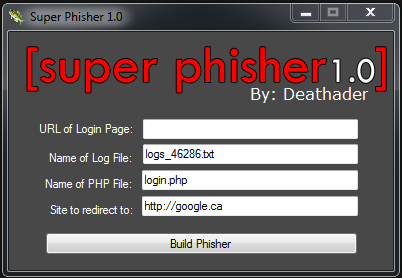 So in my last post i showed you how to create phishing page using Super Phisher and how to host it. Well creating and hosting a phishing page it easy but if you are creating a facebook phishing page than things are not so simple because facebook has blocked all free hosting and url shortening service so even if you host your phishing page,you will not be able to send the link to the victim via facebook.